Historical fiction. I found a couple of books that looked mighty interesting, one about the U.S. south during slavery and the other about Augustus Caesar. I’m a big fan of the TV series, Rome, and Octavius was portrayed as such a little creep on the show, I’ll be interested in seeing a different portrayal of him. 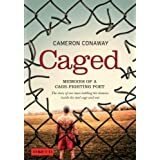 I also picked up a fantasy novel, an MMA (mixed martial arts) fighter’s memoir, a book about England’s first hospital for the criminally insane (I know! It looks crazy interesting), a Montana tour book, and some yummy cookbooks. Enjoy the freebies and your weekend! Augustus: Son of Rome tells the story of the assassination of Julius Caesar and the rise of his heir, Gaius Octavius, as he journeys to Rome from Apollonia. We see a boy grow into a man as Octavius develops the moral courage, intelligence and ruthlessness that will finally see him become Augustus, Emperor of Rome. The pen and sword will be employed to defeat his enemies and Octavius will earn the name of “Caesar”. Yet Rome will exact its price – and triumph will be accompanied by tragedy. 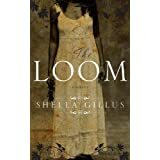 A slave owner’s wife harbors a secret that threatens to unravel her marriage and the lives of those around her. Caroline Whitfield lives in the world she dreamt of as a child. Married to Jackson, a plantation owner, in the quiet hills of 1835 Montgomery County, Maryland, she enjoys a simple life, until new slaves, seven-year-old Sadie and her father, arrive. When Sadie’s daddy is taken from her, the young girl is forced to serve the master and mistress she holds responsible for her loss. With her grandmother, fellow slaves in the “Loom Room,” and a young man bent on obtaining his freedom, Sadie struggles to make sense of God’s will in the midst of pain. But Caroline harbors a secret that could bring her world crashing down, and her love for Sadie, the daughter no one knows she had, threatens to tear it all apart. Broadmoor Revealed gives the reader a glimpse behind the walls of England’s first Criminal Lunatic Asylum. Focused on the Victorian period, the book tells the stories of some of the hospital’s best-known patients. There is Edward Oxford, who shot at Queen Victoria, and Richard Dadd, the brilliant artist and murderer of his father. There is also William Chester Minor, the surgeon from America who killed a stranger in London, and then played a key part in creating the world’s finest dictionary. Finally, there is Christiana Edmunds, ‘The Chocolate Cream Poisoner’ and frustrated lover. 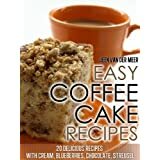 Coffee cakes are no nonsense and so easy to make. It is not like baking a loaf of bread, nor is it as complicated as making a regular cake. Coffee cakes combine effortlessly and bake up into a nice hot sweet treat in a matter very little time. You can go from scratch to eating a slice in less than an hour, and coffee cakes are best piping hot right out of the oven. 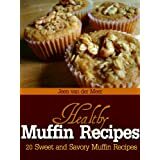 Healthy Muffin Recipes is intended as a healthy alternative with healthy ingredients like whole grain flour, oats and less sugar. Included are both the savory muffins with cheese, carrots, poppy seeds and zucchini. But also muffins made with strawberries, raisins or blueberries. All with a reduced amount of sugar. 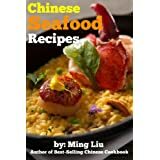 Enjoy easy & delicious seafood dishes right at your finger tips. 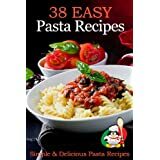 All the ingredients are easy to find, the dishes are easy to make. Montana Travel & Recreation 2012 by Rite-Way Publishing Inc.
Our Montana Travel & Recreation Directory is packed with relevant area travel information, places to see, things to do, outdoor recreation, fun for the kids, hotels, interesting area facts and much more! Get the most out of your valuable vacation time and Let Us Be Your Guide! Download this condensed Kindle edition of the directory . We print travel directories for many other states across the US. 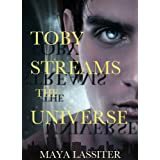 This entry was posted in Kindle Bargains and Freebies and tagged Books, Fiction, Free, Kindle, Recipes, Travel, vacation by Lori Saltis. Bookmark the permalink.